Fantasy Book Empire – $17.00, 50% commission. The Process You Need To Become A Great Fantasy Author! Did You Know That Fantasy Books Are One Of The Hottest Selling Genres? Do You Know How To Make A Great Short Fantasy eBook? People Love a Good Fantasy Book, Why Not Give It To Them? Are You An Author Who Wants To Make Money From Your Books? Did you know that Fantasy books are one of the hottest selling genres? Don’t wait. Get in on this expanding genre NOW. Inside this 100-page PDF, you’ll learn how to create fantasy books fast and furious. Richard Lowe Jr. perfected his process of telling epic fantasy in less than 10,000 words. 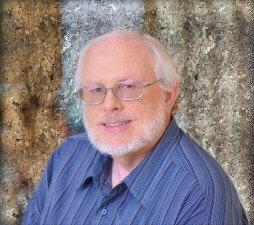 Once he mastered the technique, he started producing new fantasy stories for the Amazon marketplace, spending just a few days on each story. Using this system, he can easily produce 1-2 fantasy a week. By writing fantasy in a short story format, he is able to produce new books quickly. By writing his fantasy short stories in a series, he has been able to attract an audience of people, who typically purchase and read several of his books. Even if you only have a few hours each week to write, using this system, you should be able to produce a new fantasy story each week, which will allow you to grow your author library at a pace that you might have never believed possible. Worst case scenario is that you only work one-quarter as quick as Richard works, which will give you the ability to write and publish one new fantasy story every four weeks. Inside his “Fantasy” training, delivered in an 80-page PDF, Richard shows you how you can replicate what he has done, so that you can start growing your Amazon royalties at a pace that will allow you to feel that the goal of reaching your financial goals is actually within your reach. An astonishing number of hopeful book authors get so overwhelmed by the question of “how to write a good story,” that they lose sight of creating a story worth telling. Which is why Richard Lowe Jr. sat down to create a new training guide for fiction authors called, “Fantasy Book Empire”. Inside his 80-page PDF, Richard explains in detail his system for writing outstanding fantasy stories. The first time Richard Lowe Jr. decided to aim for writing a fantasy short story, he was able to brainstorm, write, proofread and publish his book in just a few days. That first venture into fantasy short stories resulted in a few dozen sold in the first month. With a proof-of-concept in hand, Richard went on to create many more fantasy short stories, written in a series format. As a result, he now has a large library of Kindle books producing a steady flow of author royalties, month after month, and for several years running. During this process, Richard systemized his writing system, so he could teach it to other people. The time has finally arrived for you to learn Richard’s writing system — a system that allows him to reliably crank out new science fiction stories without a lot of thought or work. Many people mistakenly believe that in order to write great fantasy stories that they need to devote the next year and several hundred pages of prose to the cause. Richard also believed that way for a long time. After spending a year writing his first fantasy novel and not getting any closer to done, he wondered if writing fantasy short stories would be easier, and more importantly, he wondered if he could make money with shorter stories. His first venture into writing fantasy short stories resulted in him brainstorming, planning, writing, editing, proofreading and publishing his story in just a few days. Maybe it was just a fluke, right? So Richard replicated what he had done, brainstorming, planning, writing, editing, proofreading and publishing his story in just a few days. That second fantasy short story also saw decent sales. Had Richard tapped into something special here? So he tried to do it again. Once again, a story conceived, written and published in just a few days was generating decent sales. As he continued to refine his processes, Richard systemized his writing system, so he could teach it to other people. The time has finally arrived for you to learn Richard’s writing system — a system that allows him to reliably crank out new fantasy stories without a lot of thought or work.